Chelsea PTO and Chelsea PTO Parts. 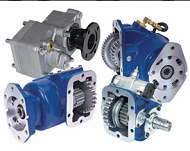 New Chelsea PTO's delivered World wide as well as all related repair and replacement parts. Professionally rebuilt Chelsea PTO. We pick up and deliver to any city World wide. Our Professional re-builders have the know how to remanufacture any Chelsea PTO ever built and we have the Chelsea Parts to do the job right. Fast service and a quick turn around on all Chelsea rebuilding services. Overnight delivery if needed on all new Chelsea PTOS and parts. CLICK HERE FOR OUR CHELSEA PTO PAGE. Muncie PTO and Muncie PTO Parts delivered. New Muncie PTO's delivered World wide as well as all related Muncie repair and replacement parts. Professionally rebuilt Muncie PTOs. We pick up and deliver to any city World wide. 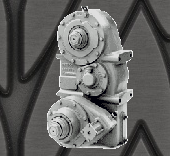 Our Professional re-builders have the know how to remanufacture any Muncie PTO ever built and we have the Muncie parts on hand to do the job right. Quick turn around and fast service on all Muncie rebuilt services. Overnight delivery is also available on all new Muncie PTO and parts. CLICK HERE FOR MUNCIE PTO INFORMATION. Fabco PTO and Parts. 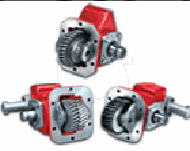 New and rebuilt Fabco PTO's delivered World wide as well as all related Fabco repair and replacement parts. Quality rebuilt Fabco PTOs. We pick up and deliver World wide. Our Professional re-builders have the experience to remanufacture any Fabco PTO and we have the Fabco parts on hand to do the job right. Fast turn around and service on all Fabco rebuilding services. Overnight delivery is also available on all new Fabco PTO and parts. CLICK HERE FOR OUR FABCO SITE.